Successfully Added LED Light Projector - 4x LED, Rotating Design, 4 Color LEDs, 12 Light Patterns, Auto-Rotating Effect, Adjustable Image Size to your Shopping Cart. This beautiful LED light projector allows you to project a wide range of different shapes and images straight onto your wall. Simply insert the lens pattern of your liking, and you’ll be able to instantly enjoy beautiful LED light figures displayed on your wall or ceiling. This package comes with 12 different light pattern lenses that are fit for different occasion and holidays. 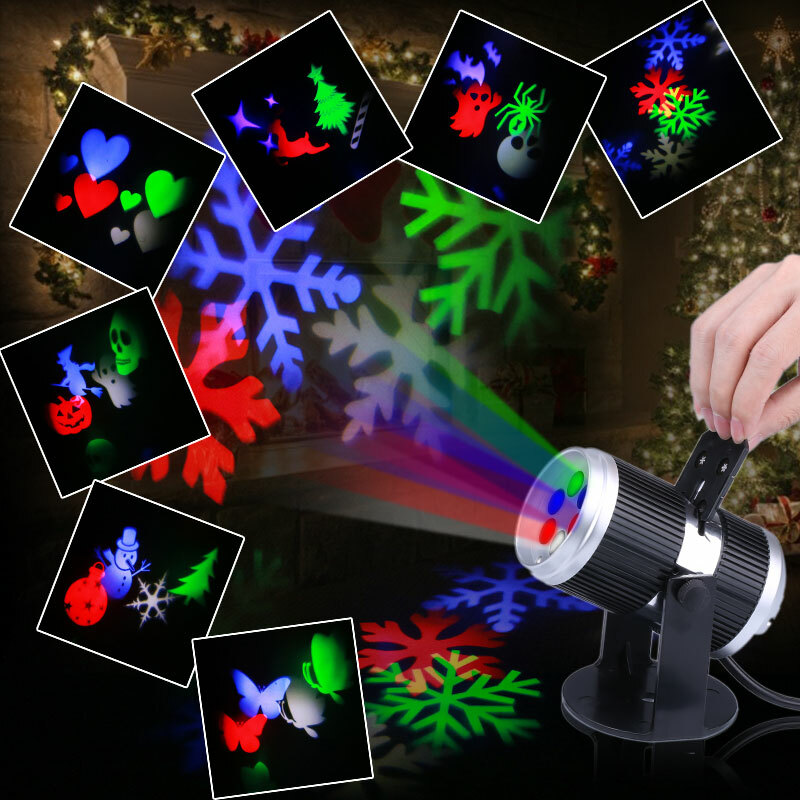 Thanks to this, you’ll be able to use this amazing LED light projector at any occasion imaginable. Whether it is a wedding, Christmas, Halloween, a child’s birthday party, or in the bar – this cool LED gadget is sure to spice up the atmosphere. This colorful LED light projector comes with 4 different LED lights. Each of these LEDs features a different color, allowing you to enjoy beautiful images and projections in red, green, blue, and white. With its auto-rotating effect, this LED light projector functions as a great light decoration piece that is sure to impress all your visitors. The image size can be manually adjusted to get the light effect and sharpness of your liking. With its heatproof design, this projector light can be used safely throughout the day. No matter for what purpose you’ll use this LED light projector, it is guaranteed to treat you to a stunning light effect that is sure to impress. This LED Light projector comes with a 12 months warranty, brought to you by the leader in electronic devices as well as wholesale electronic gadgets.. Led light projectos is a great product ,works as described.